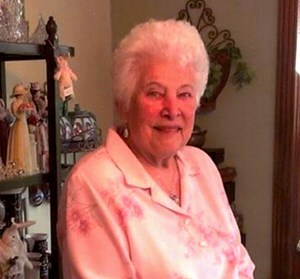 Newcomer Family Obituaries - Marilyn Michel Yochem 1931 - 2019 - Newcomer Cremations, Funerals & Receptions. Marilyn Michel Yochem, 87, of Centerville, passed away on February 10, 2019. She was born on July 1, 1931 to Marcus and Dorothy Frix in Springfield, OH. She ran her own residential and commercial building business for Michel Homes for 25 years with her husband, James Michel. She worked at Kettering Medical Center as an executive secretary for the president and CEO, and then became the KMC medical staff coordinator for 7 years. She retired to FL in 1983. She married James Michel in 1950. After James passed away in 1976, she married Jack Yochem in 1978. She was a member of Walnut Grove Country Club, Palmetto Pine Country Club, and Faith Cape Coral Presbyterian Church. Marilyn is survived by her loving daughters, Janet (Doug) Taylor and Carol Collins; stepdaughter, Candyce O’Connor; grandchildren, Michel, Kimberly, Staci, Shaun, Nicole, Kathleen, and Maura; many, loving great-grandchildren; and her sister, Bonnie. In addition to her parents, she was preceded in death by her husbands, James Michel and Jack Yochem. A Memorial Service in Celebration of Life will be held next month on Saturday, March 23, 2019, 11:00 am at Southminster Presbyterian Church in Centerville, OH, followed by a reception. Memorials are suggested to the Hospice of Dayton and SICSA. To share your memories of Marilyn or leave a special condolence message for her family, please click Share Memories. Add your memories to the guest book of Marilyn Yochem. I would like to express my sincere condolences for your family’s loss. Losing a loved one in death is one of the hardest things anyone has to go through. However, this is not something our loving God ever wanted us to experience. He promises that soon off sickness, pain, suffering, and even death will soon be done away with forever (Revelation 21:3,4).